On my video page, I’m starting a new feature: The Epic Story of the Day. These are news stories that are so amazing (good and no-so-good) that they’re almost difficult to wrap one’s head around. 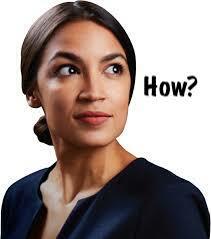 The first is regarding the wild ascendence to political power by Representative Alexandria Ocasio-Cortez (NY14). ← What in the world is happening?